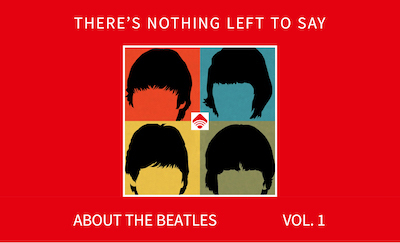 The following excerpt is from Candy Leonard’s Beatleness: How the Beatles and Their Fans Remade the World, a sociological book on how the Fab Four phenomenon impacted the decade of the 1960s. It’s often been said, “The Beatles changed everything,” but Leonard’s Beatleness, based on hundreds of hours of in-depth interviews, examines how they did. This particular passage looks at how fans and critics alike responded to the Beatles song “Revolution” — which was released at the same time as antiwar protestors were gathering at the Democratic Convention in Chicago. Click here to purchase your very own copy of Leonard’s Beatleness. When asked by a reporter in 1966 if the Beatles were going to do any antiwar songs, John flippantly said all Beatle songs were antiwar songs — and certainly that case could be made given the recurring themes of love and reason in their music. But “Revolution” was the band’s first song that directly responded to world events. Lennon had been watching the violent events of 1968 from the banks of the Ganges, and now it was time to say something. Radicalized older fans and other observers on the left found the song simplistic and naive, especially in light of growing opposition to the Vietnam war falling on deaf ears, and the excessive use of force just used against protestors on the streets of Chicago. According to activist Tom Hayden, founder of Students for a Democratic Society, there was a realization in late 1967 that “the establishment does not listen to public opinion” and that “available channels have been tried and discovered meaningless.” The body count was escalating along with the war. Oblivious to the seething anger felt by young men who couldn’t vote but were forced to be cannon fodder in an unjust and unwinnable war, the establishment dismissed protestors as naïve, spoiled, and rude. The only viable peace candidate was assassinated. Young volunteers who faithfully “worked within the system” for Kennedy and McCarthy were outraged that the party machine nominated the uninspiring Hubert Humphrey and rejected the peace plank — ignoring the fact that 80 percent of primary voters had voted for an antiwar candidate. Protest organizers, a coalition that included the SDS, the national Mobilization Committee to End the War in Vietnam, and Yippies — Abbie Hoffman and Jerry Rubin’s effort to politicize hippies through the use of street theater — were not planning violent protests but “were determined, at the least, not to be intimidated.” There was an enormous amount of anger amid the theater. 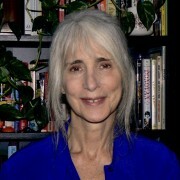 According to writer and eyewitness Todd Gitlin, “A critical mass of people in the New Left still cherished nonviolence and felt a terror of real bloodshed,” but pervasive violence in the culture, including the war, had left them “churning in a sea of rage,” such that “many of the middle-class young were stunned into a tolerance, a fascination, even a taste for it.” A small but apparently sufficient number of protestors could not be dissuaded from their readiness for violence. That the Left heard “Revolution” as an inadequate response to recent events speaks to the enormous authority and responsibility placed on the Beatles. By the summer of 1966 — after Lennon’s Jesus comment and after Dylan’s motorcycle accident — the “voice of a generation” baton passed from Dylan to the Beatles. They were now widely acknowledged as leaders of the counterculture, especially Lennon. His disdain for intellectuals, authorities, and ideologues, combined with his intermittent self-loathing made him uncomfortable in the role. But he was also an impassioned communicator with deeply held views, well aware of the power he wielded over a large and impatient generation. Despite his ambivalence, he routinely used the platform of his celebrity in song and in interviews—“Revolution” being the most recent. 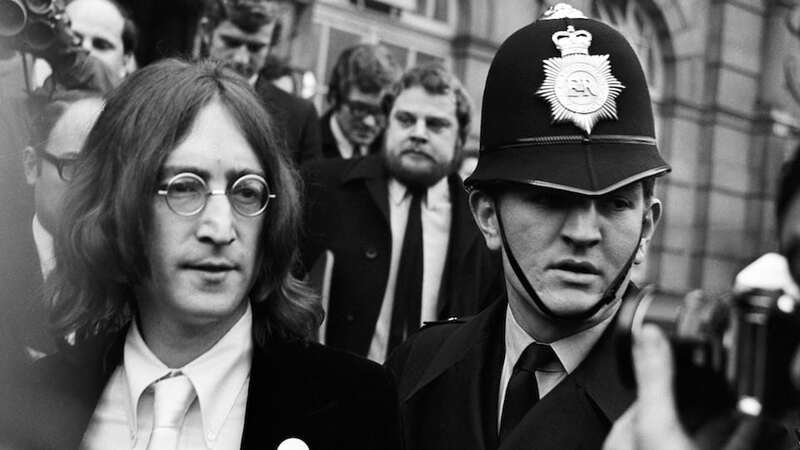 Believing that Lennon had a responsibility to address the issue was not unreasonable. A personal relationship began four years earlier when each fan listened to the Beatles alone in his or her room as an awkward teenager, and felt supported. At the generational level, the Beatles spoke to fans’ political imaginations and countercultural impulses through A Hard Day’s Night, the Jesus affair, public antiwar statements, and overall Beatle attitude. The war was a crisis for this generation, and they wanted the Beatles to help them through it. As disgusted as John was by the war and the power structure, fame and wealth gave him immunity. He wasn’t facing a draft board and he wasn’t questioning a commitment to four years of “irrelevant” education. He was buying an island or tranced-out in front of the TV. Lennon “read the news today,” but he didn’t live it. John was empathic and intelligent, and his political consciousness was evolving. But fame excused him from having to live in the real world as a young adult, and from having to put his principles to the test. He couldn’t feel the frustration and rage felt by Tom Hayden and the others in Chicago. John’s New Left critics can be seen as disappointed fans. But the scale of the Beatles phenomenon imbues “disappointed fans” with profound meaning and gets to the singularity of the connection first-generation fans felt toward the Beatles and the role they played in fans’ lives. The Beatles weren’t the only top tier British rock band whose reaction to 1968 was released during the showdown in Chicago. But the Stone’s “Street Fighting Man” got a very different reception. Many critics who dismissed “Revolution” praised the song, which was inspired by a March 1968 Vietnam War protest at the American embassy in London, at which Jagger briefly put in an appearance. “Street Fighting Man” is Stones rock and roll at its best, more brash and edgy than “Revolution.” And the lyrics, incorrectly heard, seemed a bit more radical. Most radio stations wouldn’t play it. But the song is actually quite cynical and ultimately expresses futility with regard to radical change. “Revolution,” in contrast, engages with the issues, advocates nonviolence, and leaves open the possibility of change, starting with the individual. Like its inspirational A-side, “Revolution” is of a piece with the recurring Beatle theme of realizing potential—personal and societal — through insight and love. Editor’s Note: Click here to purchase your very own copy of Leonard’s Beatleness.